﻿ Quay Apartments Manchester. JIMAT di Agoda.com! Ada soalan mengenai Quay Apartments? Sama ada anda melancong atau ke luar kawasan kerana kerja, Quay Apartments merupakan pilihan penginapan hebat ketika melawat Manchester. Dari sini, tetamu boleh menikmati akses mudah kepada semua yang bandar meriah ini boleh tawarkan. Juga terletak berdekatan adalah Pusat Seni The Lowry, Bilik Trofi dan Muzium Manchester United, Muzium Perang Imperial Utara. Di Quay Apartments, segala usaha dilakukan untuk membuatkan tetamu berasa selesa. Oleh yang demikian, hotel ini menyediakan perkhidmatan dan kemudahan yang terbaik. Wi-Fi percuma semua bilik, fasiliti tetamu kurang upaya, daftar masuk/daftar keluar ekspres, simpanan bagasi, Wi-Fi di tempat awam merupakan beberapa kemudahan yang membezakan Quay Apartments daripada hotel-hotel lain di bandar. Alami bilik dengan kemudahan berkualiti tinggi sepanjang anda menginap di sini. Sebahagian bilik menyediakan internet wayarles (percuma), bilik larangan merokok, beranda/teres, telefon, internet untuk memudahkan tetamu berehat dan kembali bertenaga. Di samping itu, pihak hotel menawarkan aktiviti rekreasi untuk memastikan anda mempunyai perkara untuk dilakukan sepanjang penginapan anda. Apapun alasan anda untuk melawat Manchester, Quay Apartments adalah tempat yang sempurna untuk percutian yang menyeronokkan dan menarik. 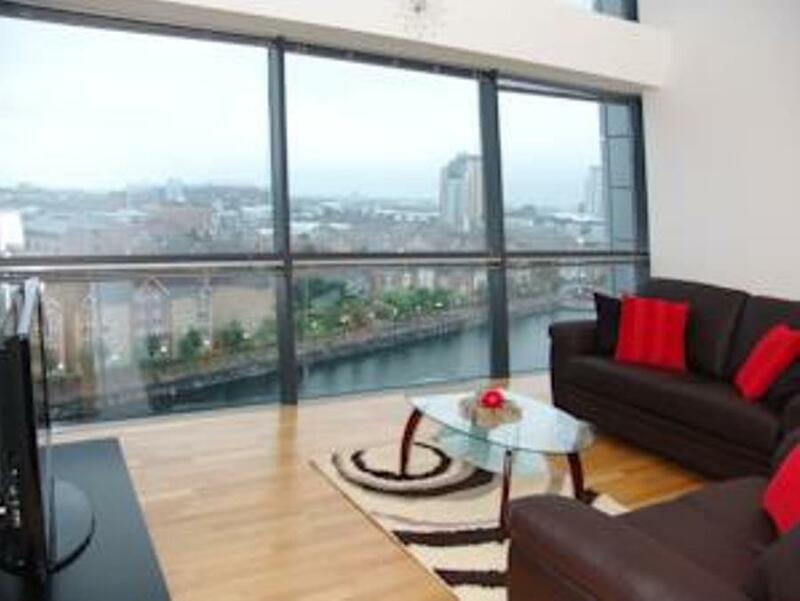 The property requires a refundable security deposit of GBP 200 upon check-in. We liked our apartment. It was clean and functional. The only thing that got to me was how warm it was in the building. Even though we opened all the windows and turned the radiators in the apartment off every time we walked inside we started sweating. Just seems to be a huge waste of energy keeping the building that warm especially in September when the outside temperature was around 16 degrees (if I’d visited later in the year I’d have appreciated the warmth). The only other thing was the wind picked up and howled through the apartment (we thought) so we shut the windows thinking that would be it. Unfortunately it was howling through the lift shafts and the staircase and I assume the ventilation system. Only complaint is that the bath needs re sealing, It wasn't to appealing. Apart from that I was very pleased with my stay. Nice. Remember to provide an email address or local mobile no. (Or roaming for overseas no.) when making your booking. Quays will send information and contact details about check-in to you. Stayed in the apartment for 2 nights and i find it really comfortable. The view is lovely, you can walk out to the balcony and enjoy the view. There's a 40" LCD in the living hall and wifi is also available. Apartment is clean and brand new. Had a 2 nights stay in the apartment and everything was fine but the charges for car park is a little too expensive. Apartment is clean and new with big LCD TV. Good for people who is looking to have a weekend stay. 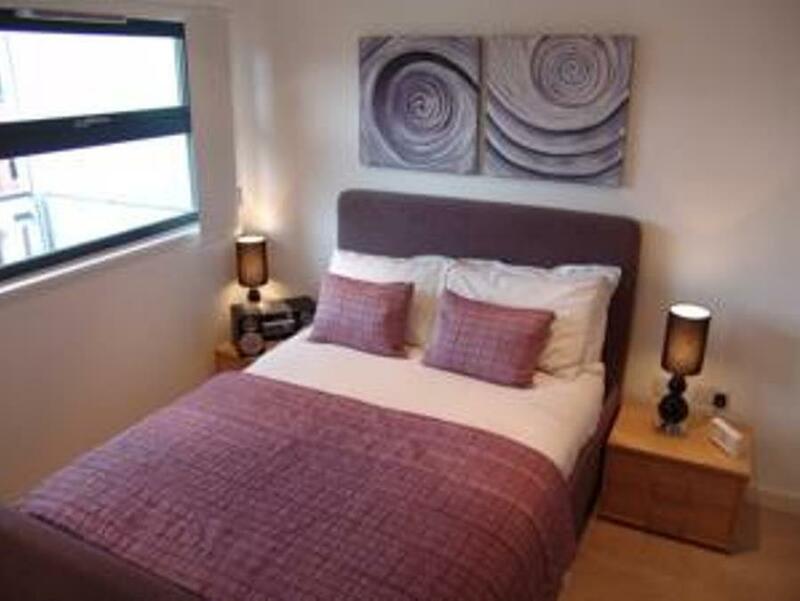 Great views, spacious,peaceful and close to Lowry Theatre & shops. Not a bad thing to say about this place, it was clean,comfy and spacious. 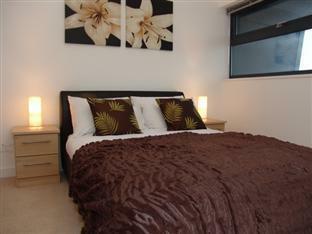 Shopping mall minutes away and absolutely ideal for couples/families if they are visiting Man U / Lowry Theatre / Shopping. Definitely returning, already booked! although we booked a studio apartment which we initially thought it would only have 1 bed with tv set, it came to our surprise when we stepped into the apartment as it has 2 bedrooms, 2 bathrooms, kitchen, big tv in the living room and a balcony where we can see old trafford stadium! how we wished we could stay here for more than 1 night! the apartment is about 1-2min walk from harbour city tram station. The apartment is 15 mins walk away from Old Trafford stadium which was my main agenda of visiting Manchester. Apartment was well clean when we took over and was very well equiped with furniture, and cooking materials. Had easily cooked our own meals but what was lacking was a service to clean up the place daily. Trash was accumulated over the 3 nights we stayed.